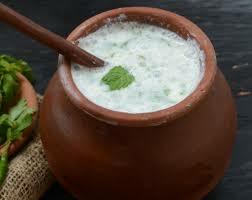 1. butter milk spice to make a knot that does not make yogurt beaten, then beaten again take up water. I have used hand beater to shuffle yogurt. Even if you canceled or hand blender yogurt can be shuffled. Keep in mind this is not sour curd more. 2. Now that the Shuffle yogurt salt, black salt, roasted cumin powder, asafetida, dry mint powder, chopped green pepper and add grated ginger and mix well. If it is too cold to drink buttermilk can put snow to drink and after a while so please keep it in the fridge so that they butter milk spice be well cool. 3. Prepare. Cold - cold buttermilk spice Pour into glasses and enjoy it. Glass of buttermilk and mix well before putting in place a little longer, because that which is due to sit down spice residue it will get better when you shake. If after making a late drink butter milk want to stay out of the fridge and put it in because residue can quickly sour.